Chuck wasn't above being influenced: it's well known that his "Maybellene" was based on the much older "Ida Red", for example. His guitar playing in Johnny B. Goode, especially the fantastics runs, are similar to those used by Freddy Slack in his 1942 recording of "I Got A Break Baby," on which the guitar was played by T-Bone Walker; its opening, on the other hand, is a note-for-note version of Carl Hogan's lead in Louis Jordan's "Ain't That Just Like A Woman." Let this not detract, however, from the pure poetry of Chuck's lyrics. In his biography, Chuck allows that the song was more or less about himself, though he had written it for his longstanding pianist Johnnie Johnson. Chuck Berry recorded the original version of "Johnny B. Goode" on 30 December 1957 or 28 February 1958 (sources differ). 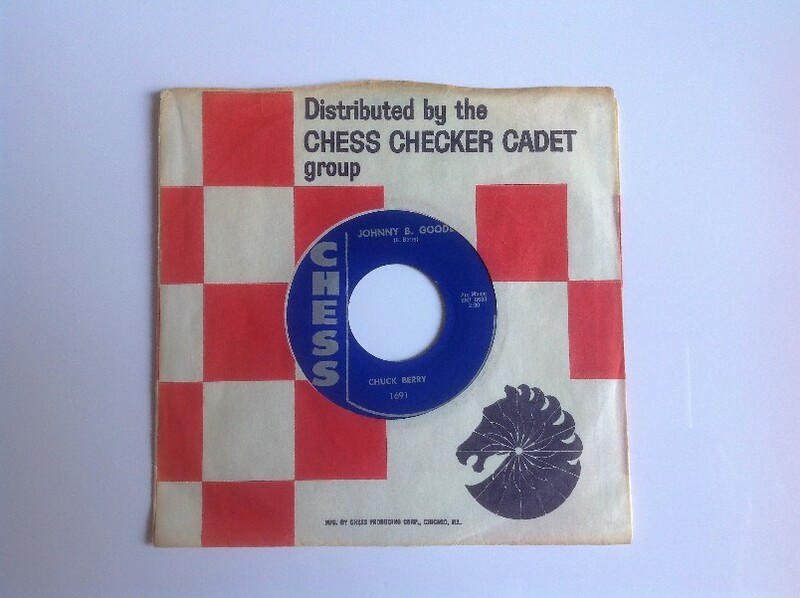 It was released as a single on Chess 1691.